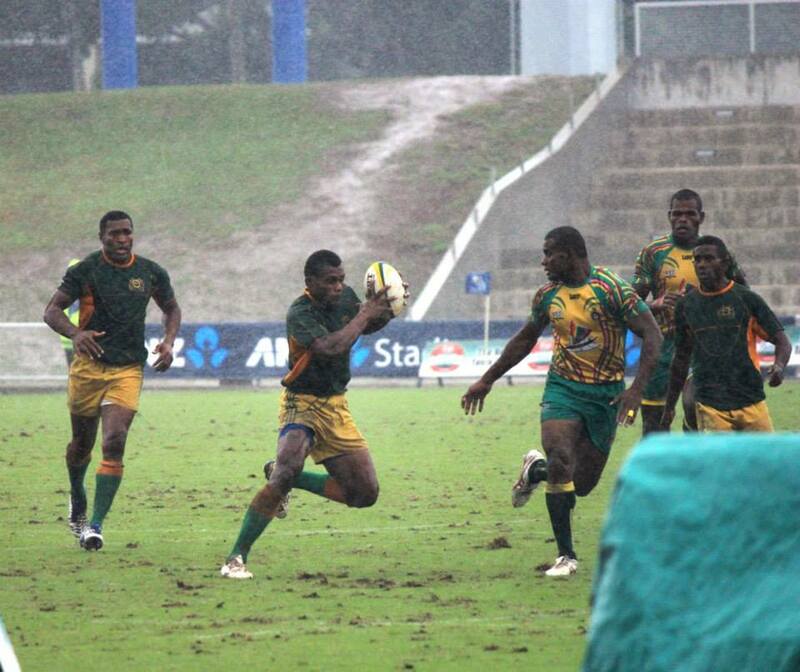 Defending champion of the Marist 7s, Army Green has qualified for the semifinals after thrashing Police 21 – 12 in the quarterfinals. In other cup quarterfinals, Wardens Gold beat Tabadamu 21 – 12, Yamacia defeaed Lomaiviti Barbarians 12 – 0 and Westfield Barbarians thrashed Tale Barbarinas 31-0. Army Green will play Wardens Gold in the first cup semifinal at 2.30pm while Yamacia will play Westfield Barbarians in the second cup semifinal. The Cup final will be played at 5.15pm after which the National team to the Rugby World cup will be announced. In the cup eliminations this morning, Police defeated Waimanu 29-7, Army Green defeated Marist One 10-0, Redrock lost 29-0 to Wardens Gold, Setefano Cakau’s Tabadamu side beat the Hideaway Hurricanes 14-12, Nasolo Young Boys lost 12-5 to Lomaiviti Barbarians, Yamacia defeated Wardens Green 25-0 and Tale Barbarians beat Natabua Gold 13-10.